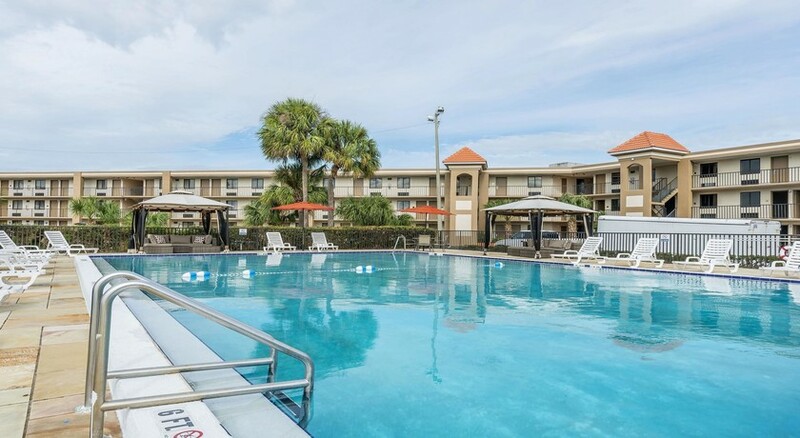 This hotel is only a few minutes away from Universal Studios and provides close access to many of the other major attractions that Orlando has to offer. 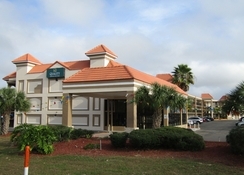 Quality Inn & Suites is near to International Drive, Florida Mall, SeaWorld, Walt Disney World as well as Epcot. It’s also a prime spot for shopping as the Belz Factory Outlet Mall as well as Shoppers World Shopping Centre. There are five different room types to choose from that can sleep up to six people and the hotel also has a range of on-site amenities including a fitness centre and a pool. There is a shuttle service to the theme parks from the Quality Inn & Suites too. 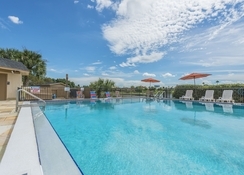 Quality Inn & Suites is close to the theme parks and other attractions in Orlando including shopping malls and golf courses. SeaWorld (5.4 miles), Disney’s Magic Kingdom (9 miles), Walt Disney World (9 miles) and Disney’s Hollywood Studios are all reachable and Universal Studios is just 1.2 miles away from the resort. The Orlando International Airport is 9.8 miles away. 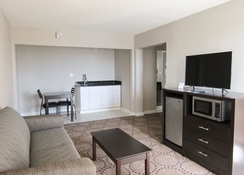 You can pick from 5 different room and suite types at the Quality Inn & Suites. King Rooms have one extra-large double bed, Queen Rooms have one large double bed and there is a disability access option, and there is a Queen Room option with two queen beds that can sleep four people. The Queen Suite with sofa bed is able to accommodate six guests and all rooms come with free Wi-Fi, a fridge and cable TV. 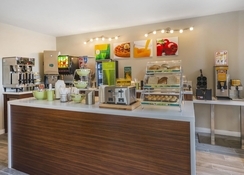 Guests can benefit of the free breakfast at the Quality Inn & Suites. There are eating and drinking options in the vicinity of the hotel which includes Hard Rock Orlando which is less than a mile away as well as in the various nearby shopping malls. Quality Inn & Suites offers an outdoor pool as well as fitness centre. If you have come to Orlando for shopping then there are many shopping malls around the areas which include the Belz Factory Outlet Mall Shopping Centre, Shoppers World Shopping Centre, Mall at Millenia and Florida Mall. Golfers can also head to Arnold Palmer’s Bay Hill Golf Course which is 6 miles away from the property.